It is with a heavy heart that Maria Fassi announced the death of her husband and co-founder of Fassi Digital and Fassi Mexico, Riccardo Fassi. Riccardo Fassi – a leader in the screen printing and textiles industry – died in a Mexico City hospital on the first day of the FESPA Mexico 2018 trade show. This is after the company has maintained an active presence in the country for the last half decade. “Although this is devastating for the family, I would like to reassure the industry that we will continue to serve our customers and vendors throughout the Central and South American region. I’d also like to thank all our family and friends who have sent their condolences and solidarity since Riccardo’s passing,” said Maria Fassi. Tributes have come in to FESPA from across the world. Thomas Fröhlich, CEO of MHM Machines Highest Mechatronic GmbH said “We have been working together with Riccardo for almost twenty years and our deep friendship is testament to our shared values which Riccardo placed on his business relationships. Putting friendship first ensured we came through difficult periods together and buoyed by his enthusiasm, Riccardo helped everyone in the industry grow and move forward. We will miss his wit, passion, unbiased opinions and his Italian flair and I thank him for all the years of true friendship”. Michael Ryan, Group Exhibition Manager, FESPA continues: "The day before FESPA Mexico opened, we were laughing together like always and I congratulated Riccardo for a great stand build. Riccardo was a true gentleman and respected by everyone. He looked well and so full of energy that it was with disbelief that I heard the news early the next day. He was a friend to all and will be dearly missed. Our condolences go to his beloved wife Maria, his children and to all the team at Fassi Mexico and Fassi Digital. I know that everyone will keep Riccardo close. Thank you to all our exhibitors and FESPA personal who lead the minutes silence during the exhibition and more importantly the applause in memory of our dear friend. I will toast a prosecco always in memory of him." Fassi, 56, suffered a massive heart attack on the morning of September 20th. He spent over thirty years in the industry, having worked for Clinton for many years before starting Fassi Equipment in the early 2000’s. 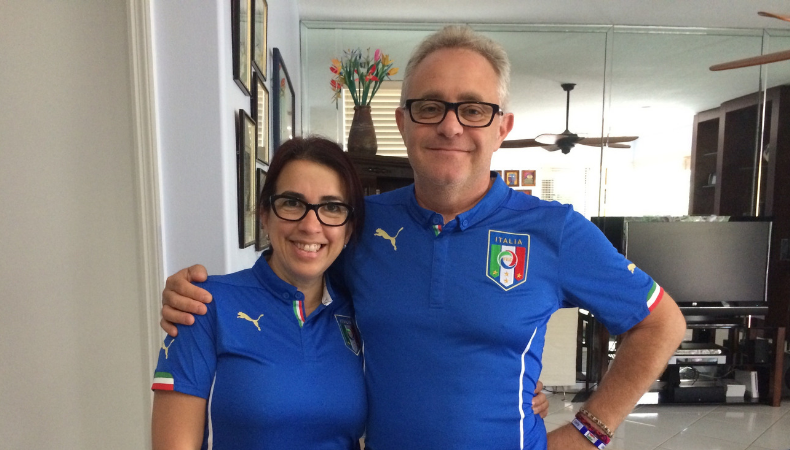 The Fassi’s live in Southeast Florida, where Fassi Digital is headquarted. Riccardo Fassi is survived by his wife Maria, his three daughters: Victoria, Andrea, and Christa; as well as his two sons Carlo and Victor.